Residential & commercial qualifications. Recipient of the NCREA certificate, separate Property Management division & complete knowledge of the 1031 exchange process. A dynamic mother-daughter team, Karen Conley and Corrine Conley bring their signature skill and professionalism to sellers and buyers in coastal communities from Orange County to the Los Angeles Westside. 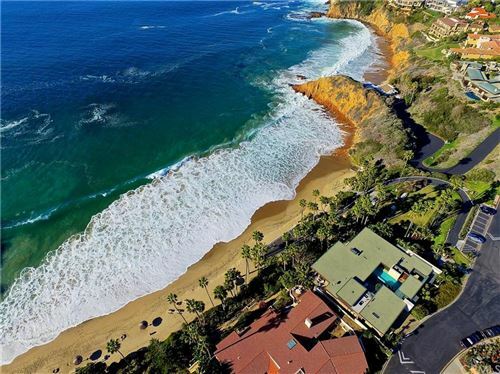 Their impressive knowledge of custom homes, ocean view estates, second homes and investment property allows them to represent real estate clients in a wide range of transactions. Working with their sophisticated clientele, the Conley’s focus on concierge-level service: detailed attention to each facet of the process that will produce the maximum results with a minimum of stress and disruption. Whatever the client’s need or dream, they approach it with a combination of superb listening, excellent communication, creative marketing, an extensive referral network and the vast resources of Coldwell Banker. Both born and raised in Orange County, Karen and Corrine bring a wealth of experience and training to their teamwork. Karen, a graduate of Saddleback College, earned her real estate license in 1984 and her broker’s license in 1991. Since she began her first “real job” doing property management and selling mobile homes, her career has been one of consistent achievement and award-winning results. She holds numerous special designations and certifications, including Certified Luxury Home Marketing Specialist™ (CLHMS), Creative Marketing & Promotion Sales Specialty Designation (CMPSS), National Real Estate Investment 6 - Commercial Advisor, 203k Specialist, Certified Military Relocation Professional, and Short Sales and Foreclosure Resource (SFR). A San Clemente resident, Karen has a lifetime of community involvement and a keen knowledge of the local marketplace. While Corrine earned her license more recently, she has grown up “speaking the language” of real estate. (In addition to real estate, she is also fluent in French.) A resident of Beverly Hills, Corrine earned a bachelor’s degree in Communications/Public Relations from California State University, Fullerton. With a hard-working, “do your best” approach to every task, she shares her mother’s eye for detail, client-centric style and commitment to results. In each transaction, Karen and Corrine Conley demonstrate family values at their finest. Their coordinated marketing on behalf of their clients is international in scope, while their personal style of customer care earns them wide respect as well as the repeat business and referrals of satisfied clients. "Karen has been our realtor for 12 years and has walked us through multiple transactions. Karen's excellence in service, her attention to detail, and her ability to understand all the personal challenges that go along with buying and selling our homes has never wavered. She does a great deal of work behind the scenes to make the transactions seem as effortless as possible. She works hard for us and we highly recommend her. We consider her a true family friend and loved one. She has blessed us beyond measure!" "Karen is professional, high integrity,tremendous knowledge and a pleasure to work with." "Karen has a real flair for Real Estate and exceeds our expectations." "Karen is a consummate professional in the Real Estate Industry." "Karen is always extremely professional and friendly." "Karen is a worker bee and consistent." "Karen is skillful, honest and straightforward."